It's awfully quiet here in the office. Others are gone already, taking early Christmas vacation. 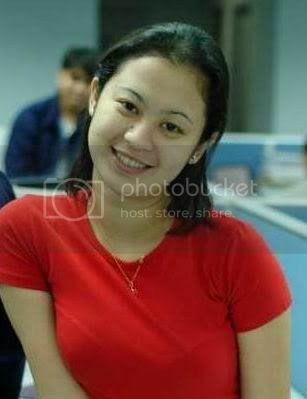 And I am already feeling the holiday mood - ergo, I don't feel like working anymore - tamaditis na naman. I remember the Simbang Gabi at Greenbelt, Last year I didn't miss a single mass. When I went home to Cebu, I even dragged my parents to attend a Simbang Gabi so that my "perfect attendance" wouldn't be ruined. It's because I had a wish. And Ria had told me that if you're going to complete the Simbang Gabi, whatever you wish for will come true. It happened to her, she had said. So I thought to give it a try. And besides there's no better way to prepare for Christmas than to sacrifice by hearing mass at dawn when it's so tempting to curl up and sleep because of the cold December breeze. Did my wish come true? It did. But it didn't come easy, my patience was tested to the limit, before I got it. I wished for a trip abroad - to be able to add another country on my pitifully short places-i've-been-too list. I reckoned it was time for me to "move on" since I was already staying for 2 years in Manila. I already explored the city to my heart's content. I was getting tired living the Makati yuppie life (naks!). And I must admit it's getting boring since Claire and Ria had moved on to wherever they are now. Besides, it's been 3 years since my last trip abroad (to Japan) and understandably I was uhaw to have my passport stamped. That time I thought the golden ticket was the trip to Ireland, a 3-months training that my Irish boss had promised me. I was praying "Lord, pwede na to kahit na 3 months lang. Basta lang makaalis ako sa Pinas. Nangangati na paa ko e."
Nahugno ang langit og yuta (heaven and earth fell) when February came. It became apparent that the trip to Ireland wouldn't push through. That my bloody Irish boss had just been bluffing. He's not a man of his words, damn him! So I just sighed, lamenting to the heavens above, terribly heartbroken... and cursed that bloody Irish for weeks. Then came April, I received a fateful call from one of my previous manager. Her first greeting was "George, do you want to go London?". And I was like, "Heller, tinatanong pa ba yan?" As I listened to her selling the company, my eyes went spinning like a slot machine with the jackpot not in US dollars but in Pounds! So I eagerly signed up for the company. It has been my dream to visit England eversince I started reading historical romance novels in highschool. But I didn't fly to England right away. I had to wait 5 months for the visa and each day was agonizing because I had no idea if my visa was approved or not. I was literally scaring myself that I might not get approved because I don't have a middle name (that's another story why I don't have a middle name...) But thank God, here I am now, in beloved England. Yes indeed, my Simbang Gabi wish came true. Albeit it took its sweet time to come into fruition, it came to me before the year ends. What's more surprising is that it's not the original answer I had wished for - I was given something more, better than I ever hoped for. And oh yes, I now believe Simbang Gabi wishes do come true. Or let me rephrase that... I believe that if you pray fervently for something, He will eventually give it to you one way or another. Though it may be delayed or the response may not be the one that you asked for, in the end He will still give it to you. He's very generous after all. *sigh* i miss simbang gabi. oo nga e. mas prefer niya ang royal family kaysa sa akin. tsk! hey George, nice blog. Wish you all the best this holiday season.